﻿ Salzburger Saalachtal: Unken, Lofer, St. Martin, Weißbach. The holiday region of Salzburger Saalachtal, with the holiday resorts of Lofer, Unken, St. Martin and Weißbach, is located in the north of Pinzgau in SalzburgerLand. The Salzburg Saalach Valley offers a lot of possibilities for active and nature-loving holiday-makers. 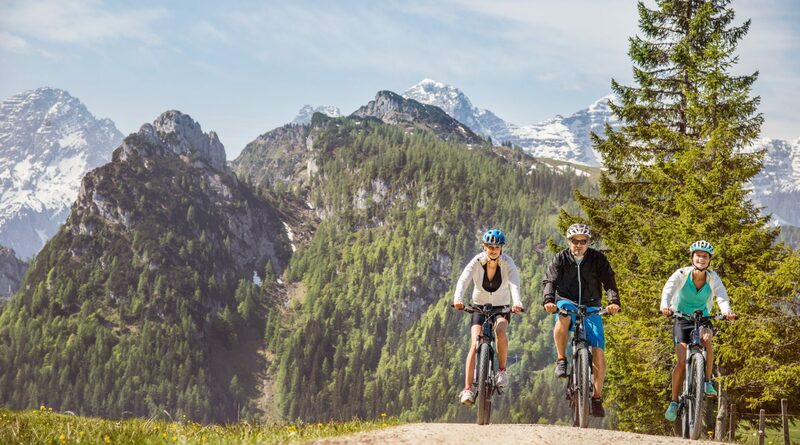 Hikers, E-bikers, those seeking relaxation and families find their holiday paradise in the four towns of the Salzburger Saalach Valley. The holiday region of Salzburger Saalachtal, with the holiday resorts of Lofer, Unken, St. Martin and Weißbach, is located in the north of Pinzgau in SalzburgerLand. The Salzburg Saalach Valley offers a lot of possibilities for active and nature-loving holiday-makers. 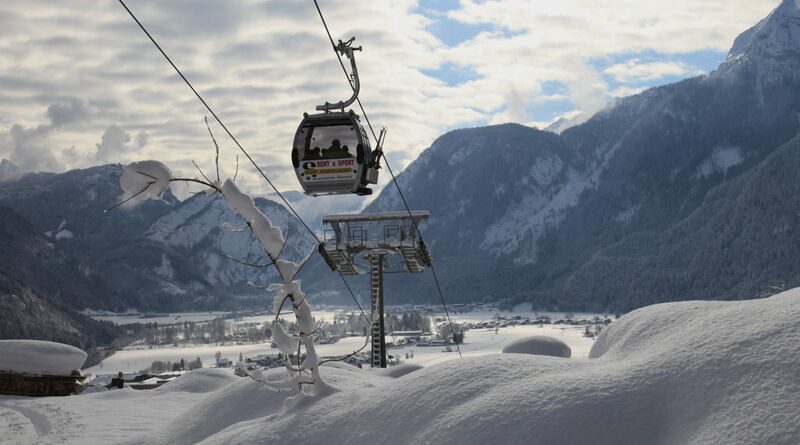 Skiers, winter sports fans, those seeking relaxation and families find their holiday paradise in the four towns of the Salzburger Saalach Valley. In the heart of Pinzgau and in the tri-border region between Salzburg, Tyrol and Germany, Salzburg’s Saalach Valley is located with its towns of Lofer, Unken, St. Martin and Weißbach. Picturesque, unique, and connected by the wild rushing Saalach River, they are the ideal starting points for outdoor adventures for all ages, because the main character here is, without a doubt, Nature. The forested hills and the peaks of the Loferer and Leoganger Steinberge reward with fresh, pure air and breath-taking views for the ordeal of the ascent. In the streams and gorges, the elemental force of the water with is experienced with all the senses and there, where in winter skiers and their boards abound, one of the most beautiful Alpine pasture areas is waiting to be discovered and explored in the warmer seasons. An adventure playground for the whole family. c Salzburger Saalachtal Tourismus Cable Car on the Lofer Skialm. 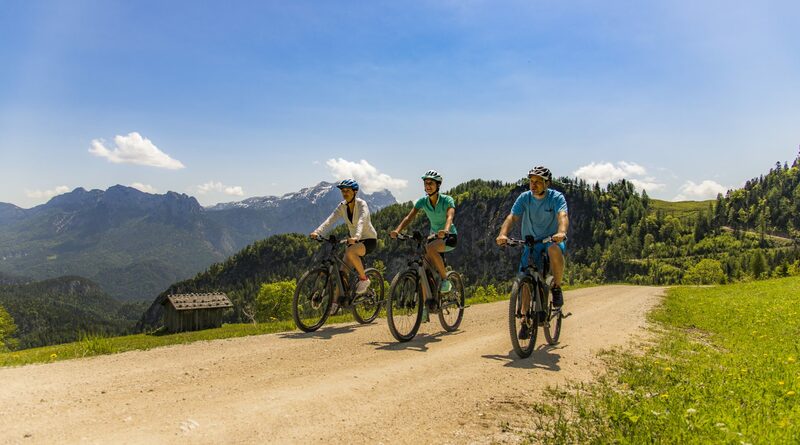 For those who prefer to discover the mountains and valleys on two wheels, they will also find the ideal conditions in the Salzburger Saalach Valley. 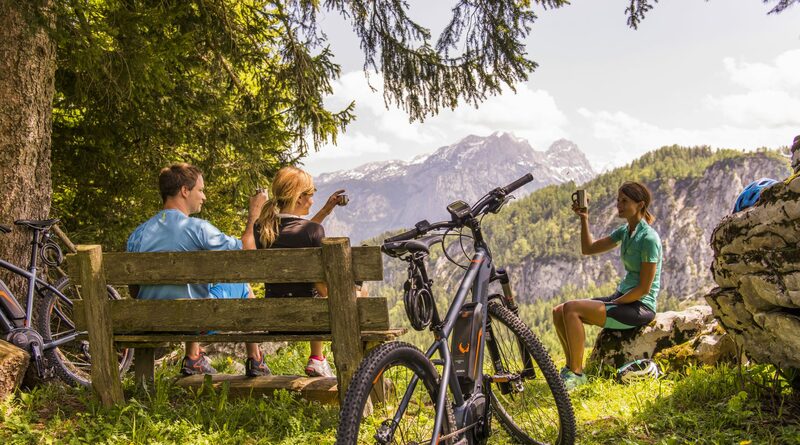 In addition to numerous opportunities to let off steam with a mountain bike, utmost importance is especially placed on the E-bike subject, in complete harmony with Nature. 80 E-bike rentals and 21 charging stations distributed across the region, along with the bike-friendly accommodation, easy bike transport with the Lofer Mountain cable cars, organised bike tours and above all the 480 kilometres of signposted bike routes ensure that everyone gets their money’s worth here – from the pleasure cyclist to the ambitious sport cyclists. Water, wild and original, can be experienced in the Salzburger Saalach Valley in various forms and with all the senses. In the Saalach, athletes in their kayaks conquer some of the world’s most demanding rapids while families enjoy an exciting canoe trip slightly further upriver and then dive into the crystal clear waters of the Vorderkaser Gorge. In the hiking paradise of Salzburger Saalachtal, experienced mountaineers and also ambitious walkers will find Salzburg’s most beautiful hiking and walking trails right outside the front door. On the partly wooded rear and the partly craggy peaks of the Loferer and Leoganger Steinberger, breathtaking views and a fascinating flora and fauna await. Rustic alpine pastures invite you to enjoy a hearty piece of Pinzgauer beer cheese and the hospitality of the Saalach Valley hut landlords. Nordic walkers and runners can exercise on 16 different tracks over a total of 110 kilometres. 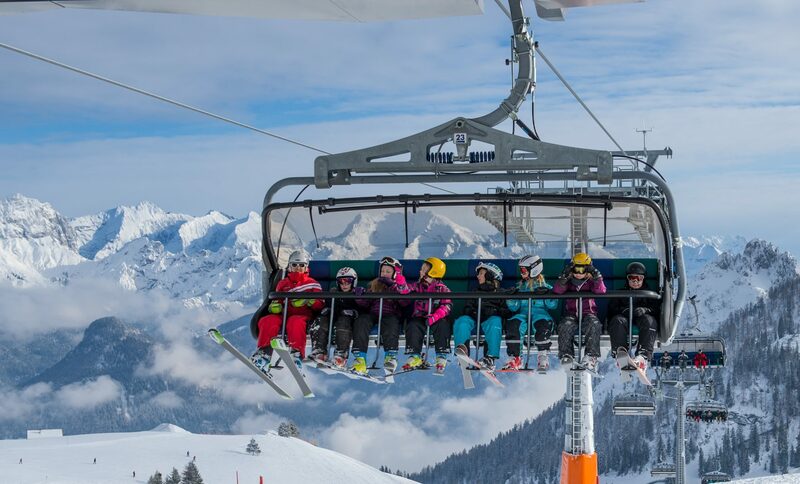 Winter sports fans will find in the Lofer mountain world and the quiet Heutal near Unken perfectly groomed slopes and unlimited free skiing in the powder snow. On a total of 80km of perfectly prepared cross-country trails, cross-country skiers enjoy a picturesque landscape through valleys and alpine meadows and experience the most beautiful natural impressions between Unken and Weißbach. The Heutal at 1,000m above sea level or the Lofer Alpine world invite you on Nordic discovery tours. Ideal for those in training are the cross-country skiing course and the illuminated night cross-country skiing course in St. Martin. 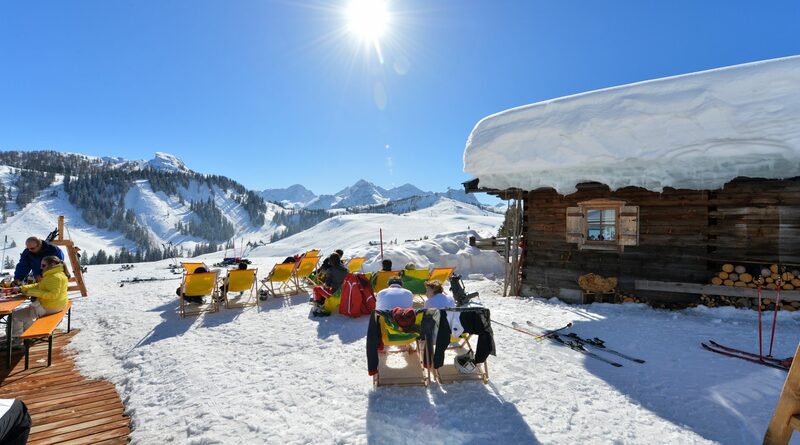 Get the SalzburgerLand Card and start your stress-free holiday. Variety is guaranteed with approximately 190 attractions!